How do we remember our ancestors in China and Aotearoa? 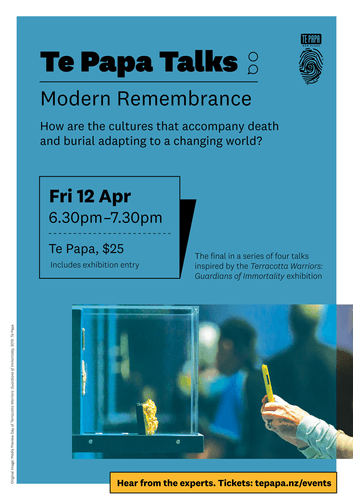 Join us to discuss how the cultures that accompany death and burial are adapting to a changing world. Then explore the exhibition at your own pace at a special after-hours viewing. Other talks in this series.